Model number OT-14S Paige Sofa Table. 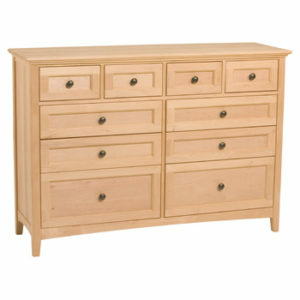 The Paige collection by Whitewood Industries has a beauty all its own. 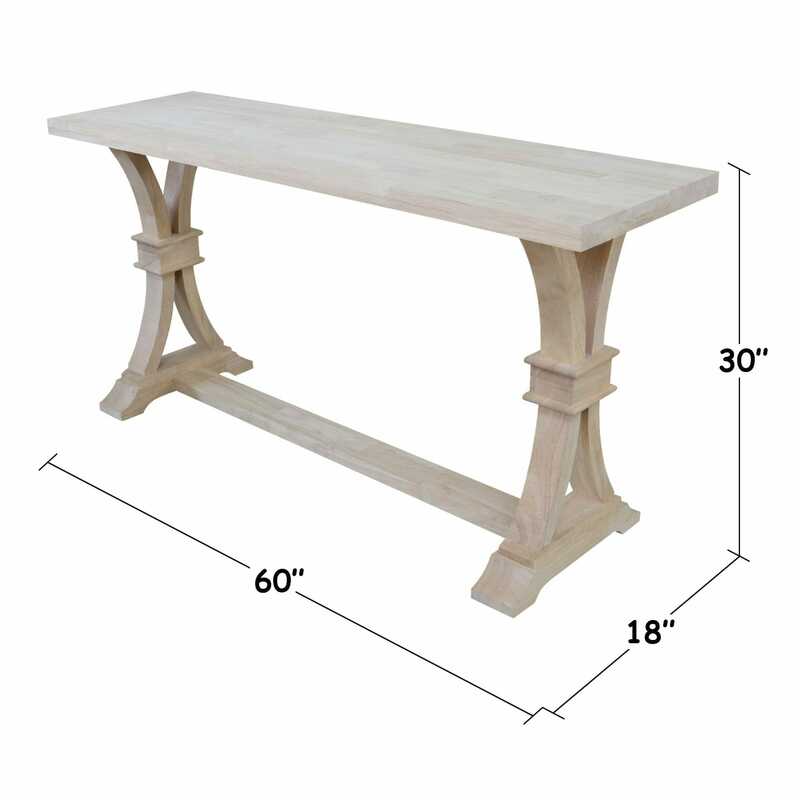 The massive thick table top is set upon a very attractive trestle base. 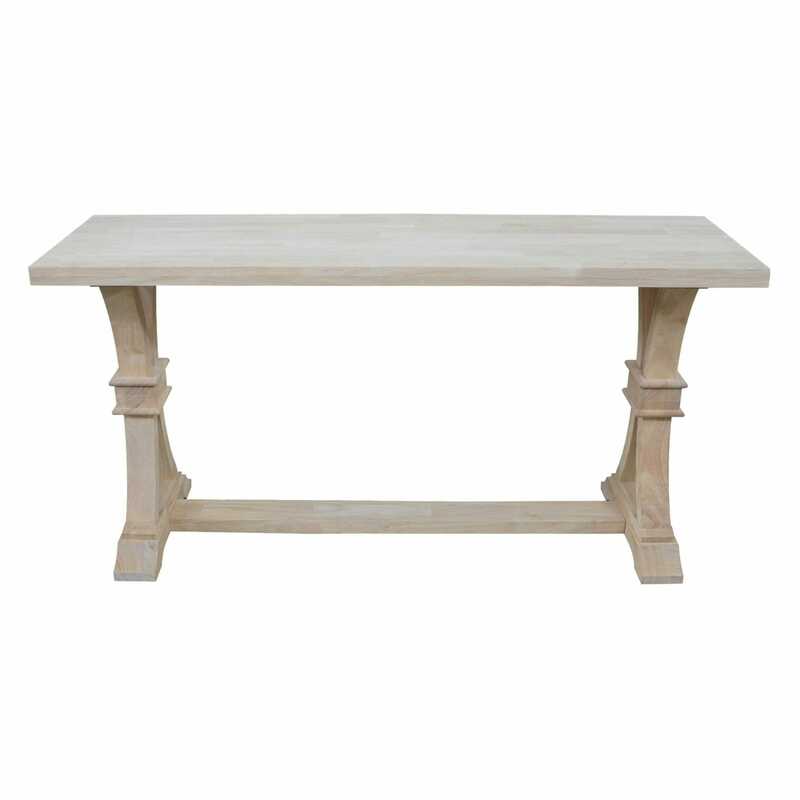 The table does feature leveling feet on the base of each of the legs. 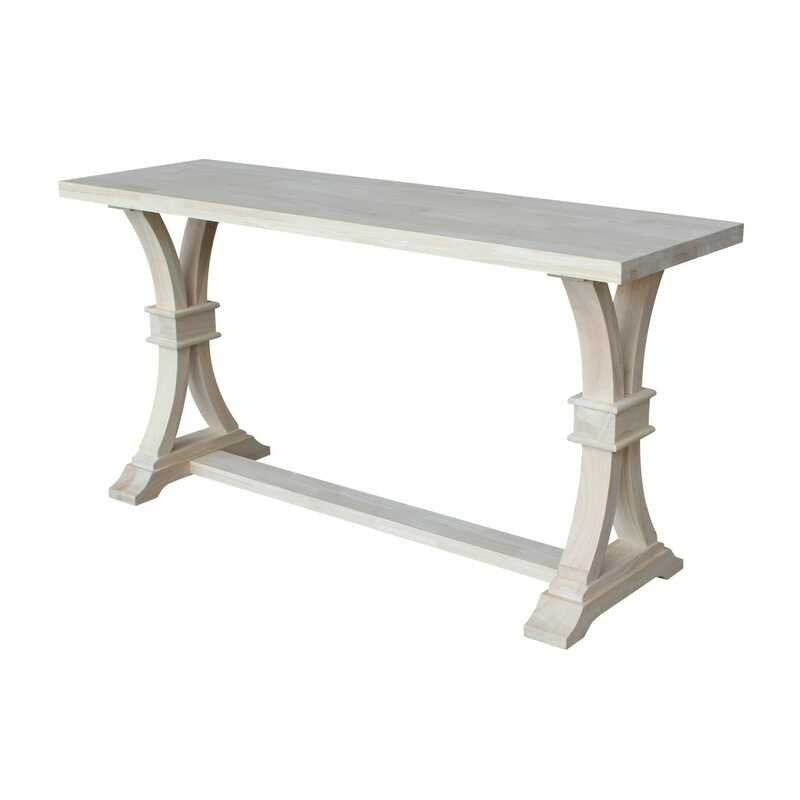 The Paige console table is constructed of solid Parawood for both strength and durability. 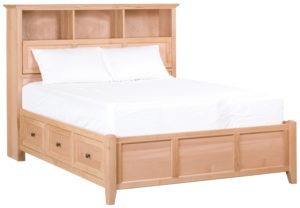 There is NO veneer or composite material in the construction of this product. This hardwood table will endure years of use and abuse. 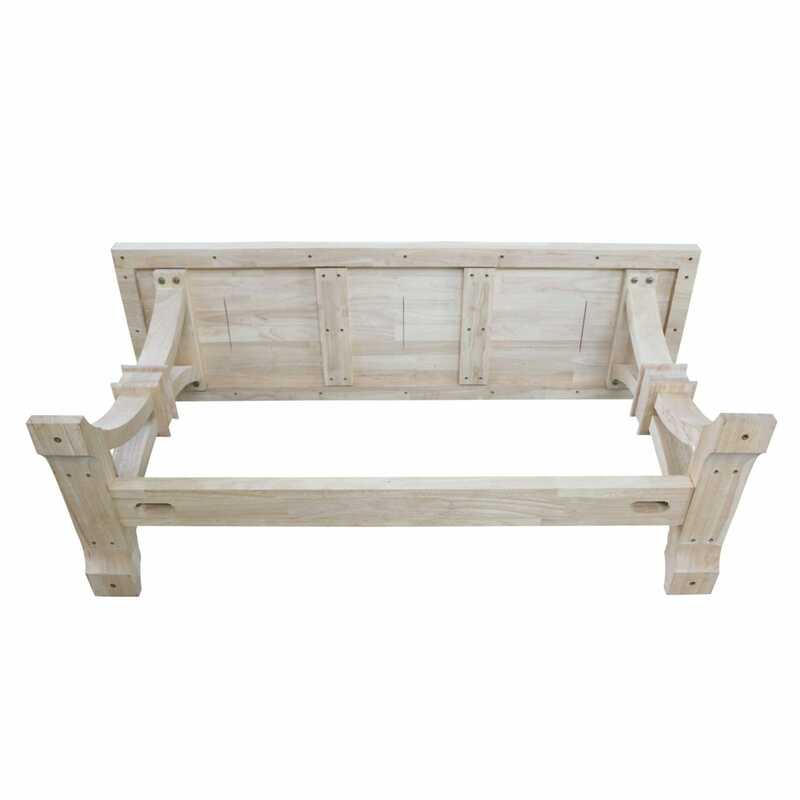 This table is sold disassembled with FREE SHIPPING Free assembly and free in store pick up from our Wilmington NC location.